Swap a traditional guest book for something more interactive with this charming Post Box, a lovely way to create a lasting memento of your special day. Subtle hues of ivory, pink, white and grey and pretty illustrations of traditional wedding motifs – hearts, butterflies and doves – make the design of this box perfect for couples looking to give their wedding a truly romantic vibe. Guests can use the co-ordinating wedding wishes cards to send messages of congratulations to the bride and groom, creating a lovely wedding gift you’ll enjoy for years to come. Post Box Size: 140x140mm square, height 170mm. 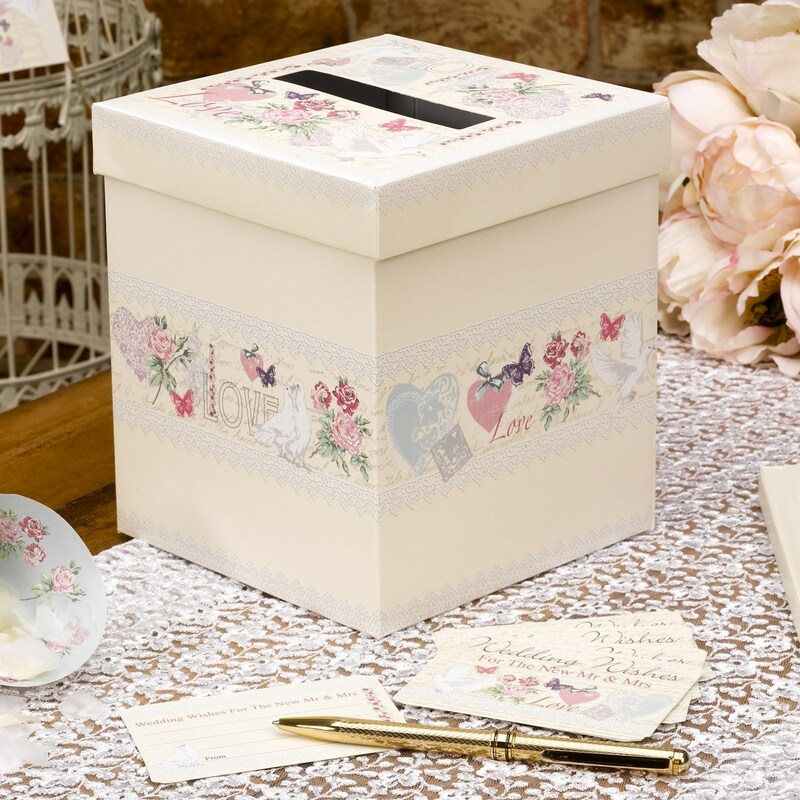 Designed for use with co-ordinating wedding wishes cards.